Moreover, all the US military commanders in 1961, when Kennedy became President, were WWII veterans. They were tough military men who lived and thrived in a time of massive war and nuclear destruction which was immediately followed by the bitter years of Cold War, with an ever-looming threat of nuclear conflict. 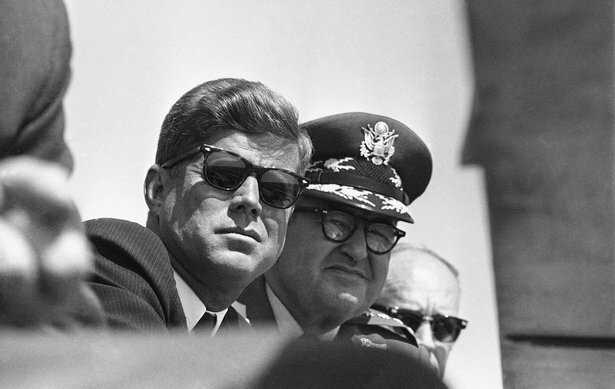 The military commanders did not get along with Kennedy – as its chronicled in the article. While he was more willing to muscle forward through diplomatic and political maneuverings, he was always thwarted and resisted by his trigger-happy military commanders, who believed in massive use of force as a first-choice rather than as a last resort. This is not a history lesson – or who was right and who wasn’t. It is to exemplify a situation when a new leader has to face resistance and pushback from his own experienced team. They think of him as inexperienced, unwise, novice or an outsider. It gets worse when it’s a complete group who think this way – as was the case of all US military leaders with Kennedy – and even be public about it. It’s very easy for a new leader just finding his way to get overawed, subdued, forced into groupthink and lose his footing. Leadership is tough. It’s not just the more visible, tangible and quantifiable forces and problems from the outside (e.g. the Soviet leader Khrushchev). Sometimes its tougher to deal with the internal discord and resistance, specially when you are new to the game and the others are not. It becomes critical for the leader never to lose his originality and footing. He needs to have a very clear mind, very competent advisors and an iron will to stand firm and get his way – sometimes through his own inner circle, sometimes even at their cost. Kennedy’s handling of the Cuban Missile Crisis – and how he dealt with the ever-increasing pressure from his military command to pursue a military course – is a great example of a young leader getting his way. Leadership is not easy. It’s all about dealing with people and people are difficult. And it’s about truly believing in yourself – even when others do not. The article is a great read for any leader. A very thought provoking contribution to the leadership talk. I thoroughly enjoyed reading it!